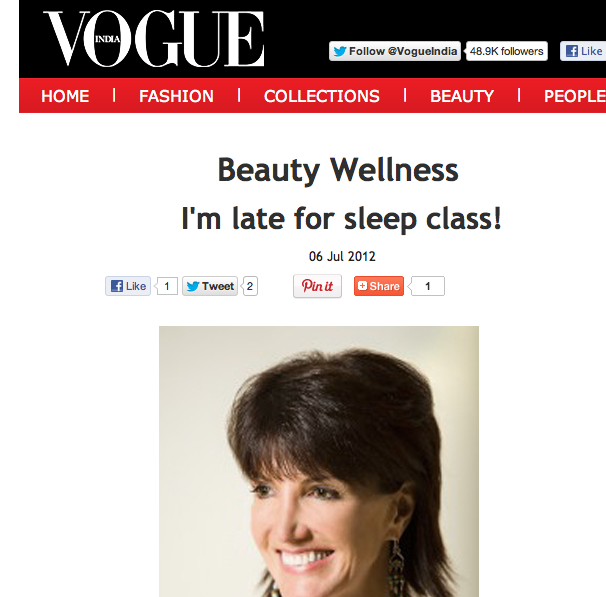 We heard about Anandi via Vanity Fair’s The A-List newsletter and immediately a health fad alarm sounded. The Sleep Guru? Now that’s a first for us from the land of yoga and naturopathy! This former beauty therapist, who counts Sting among her clients and Deepak Chopra among her teachers, trained in hypnotherapy, NLP, massage and over 500 hours of yoga with her guru in India — to treat her own insomnia. It obviously worked because now it’s her career. Anandi has a sleep retreat in Le Marche, Italy, conducts sessions at a London clinic and even does sleep coaching consultations via Skype or phone for international clients.